We have assembled Franui’s inspiring trilogy about the art of the 19th century lied in a neat box for your convenience. A 3-CD digipack plus extra booklet, including a special box text by Christian Seiler, and everything kept firmly in place by a beautiful cardboard cover. Sound samples can be listened to at the pages of Schubertlieder, Brahms Volkslieder and Mahlerlieder. To the Music Cabinets of the Great Masters! Sometimes Franui do sound like a brass band. in from above. The trumpets, pounding. Rolling, the saxophone, squealing, the clarinet, and any moment now it’s all going to break into a sweat. Franui can do that, too. But then: silence. Only the hovering of a harp chord, perhaps the neat plonk- plonk of a plucked double bass. At full blast, which at first makes you think of folks in a pub, after the third round of beers, but all of a sudden it condenses into a seraphic hovering, a harmony made of the most delicate, transparent fabrics. But just when you think you’ve finally recognized the band for what they are: a really sensitive bunch, the noise is back, boom-ta-boom-ta, and the bona-fide brass band comes down on the bow-tied softies with a mighty roar. Franui. When Andreas Schett gets up during a concert to introduce the ensemble – who refer to themselves as a “banda” – hilarity is guaranteed. Slowly, slowly we learn which route to follow on the map, until a turn to the right finally takes us towards Innervillgraten, a village in East Tyrol, and behind Innervillgraten lies a mountain pasture named Franui, which is also the name of the ensemble, but the mountain pasture was there first, so the ensemble was named after the mountain pasture. Incidentally, Franui themselves have also accumulated quite a history. When Schett founded the band back in 1993, he was in his early twenties and had just established the “Kulturwiese” (or “cultural pastures”) festival in an attempt to tune his native village of Innervillgraten into the vibes of the musical metropolises. His plans were reduced to ashes when the “Kulturwiese” headquarters went up in flames thanks to the efforts of an arsonist. So Schett, looking for a safe haven, moved to Innsbruck and took Franui with him. The band, not the pasture. At first Franui were regarded as part of the “new folk music” trend emerging at the time; but while the trend went on and evaporated into nothing, Franui emancipated themselves, heightened their profile and confidently went their own way. While openly committed to enjoying the great variety of music available, the folk music band also no longer attempted to disavow their musical education, drawing ever closer to the realms of high culture, to the music cabinets of the great Masters. 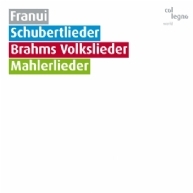 Already on Franui’s album “Frische Ware,” a compilation of funeral music they recorded in 2000, every once in a while the brassy hammering and gasping seemed to be imbued with the spirit of Franz Schubert. 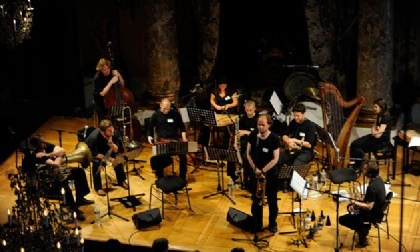 In 2004, on “Das Ende vom Lied,” they went to extremes: grief and sorrow meeting in the dancehall – an enchanting analysis of musical cause and effect – was it the romantic melodies of Schubert and Mahler that made sense to the brass band, or was it the other way round? Franui most sensibly decided: Not a clue! The Musicbanda of the same name, who have been playing together in nearly the same line-up since 1993, produce an immediately recognizable sound (due to the special blend of woodwind and brass, bowed and other string instru- ments). Franui are regularly invited to perform at major festivals and venues all over Europe.